• There is visible mold/mildew on your Furnace/Coil/Air Handler, or the actual duct itself (Return or Supply.) If the conditions causing the mold growth in the first place are not corrected, mold growth will recur. • Ducts that may have had Rodents or Insects in them. • You may consider having your air ducts cleaned simply because it seems logical that air ducts will get dirty over time and should be occasionally cleaned. Provided that the cleaning is done properly, no evidence suggests that such cleaning would be detrimental. 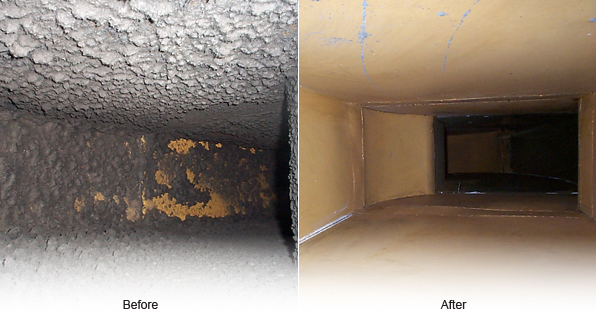 The EPA does not recommend that the air ducts be cleaned routinely, but only as needed. Be sure to check your system regularly for any of the signs given above, early detection of them is key to saving you money in the future. If you have insulated air ducts and the insulation gets wet or moldy it cannot be effectively cleaned and should be removed and replaced. 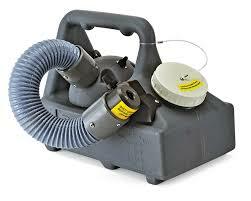 To clean your duct system we use the BrushBeast duct cleaning machine. 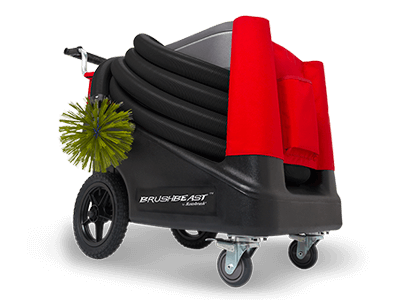 The BrushBeast is the most powerful, portable duct cleaning system in use today. Equipped with 4 vacuum motors, the BrushBeast can remove the heaving of buildup in your duct system. It also contains a double filtration system utilizing HEPA filtration. This feature helps contain and capture buildup that is removed, keeping your home clean in the process. Once the cleaning is done, we spray an O-Zone safe Microbial Sanitation Spray throughout the ducts and clean the system evaporator in place.